After San Pedro, my next lakeside stop was San Marcos. While San Pedro is known as a place to party, San Marcos is known as a spiritual place, popular for yoga, meditation and ‘healing’. There are sound healings, lots of reiki, massages, and even a chocolate shamen. Both towns attract a good number of hippies and rainbow/drainbow type travelers - will not comment further. 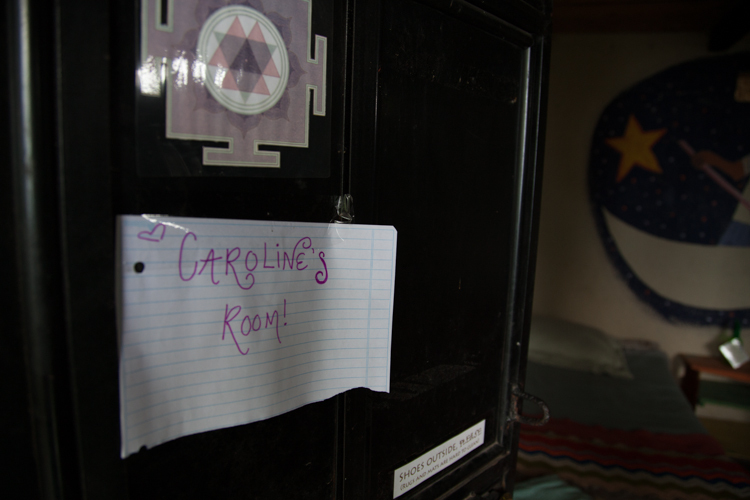 Staying 5 nights in San Marcos, I spent four of them at the Yoga Hostel. Maria and Michael who managed the hostel were amazing, kind and accommodating. For $5 CDN, I stayed in a simple two-bed dorm, with full-access to the vegetarian kitchen and the outdoor yoga practice area. 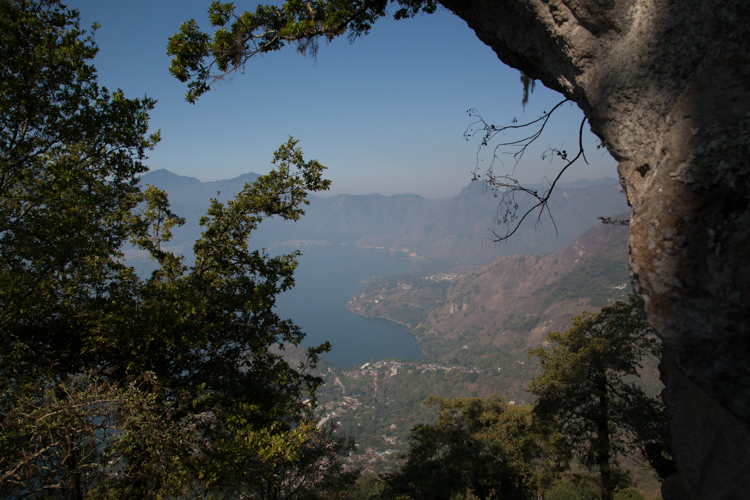 My favourite day at the lake was a 7 hour hike through the mountain villages near San Marcos. My guide was Wild Joaquin (check his blog), he had been living in San Marcos for the last six months, hiking and trail-running in the mountains near San Marcos. We left at 6AM hiking from San Marcos up into the mountains, the 'trail' led us by waterfalls, through small villages, some of which are only accessible by foot, through farms that still used traditional Mayan farming methods to plant corn, squash and beans on very steep fields, as well as through fields of coffee. It was my first time tasting a coffee-cherry, sweet on the outside and slightly bitter when you bite into the bean itself. 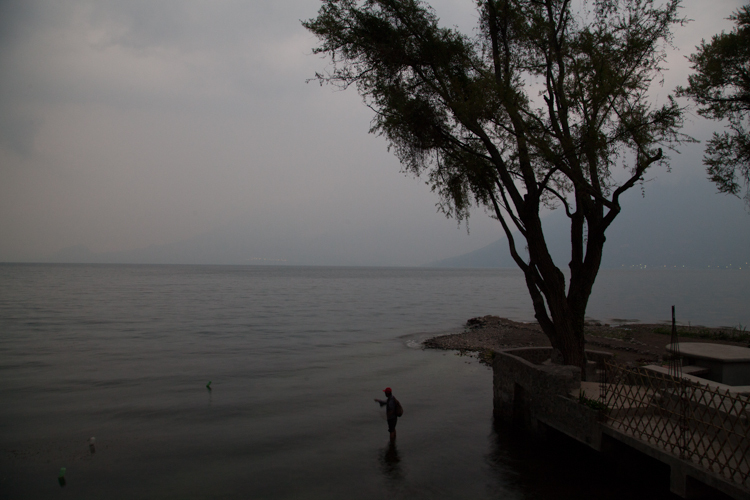 I had a chance to see a different side of Lake Atitlan, and it was brilliant. On the day of my departure, it was an unusually sunny and clear morning at the lake for the rainy season. I was invited for a swim at the lake from the pier of Hotel Jinava which I couldn't refuse. While poorly rated by the lonely planet (don’t always trust the guide book) if you have $40 CDN (250 Q) to spend on a night’s accommodation at San Marcos, it's worth splashing out. Beautiful rooms right by the lake - not a bad view to wake up to.